The fast growing field of molecular imaging has achieved major advances in imaging gene expression, an important element of gene therapy. Gene expression imaging is based on specific probes or contrast agents that allow either direct or indirect spatio-temporal evaluation of gene expression. Direct evaluation is possible with, for example, contrast agents that bind directly to a specific target (e.g., receptor). Indirect evaluation may be achieved by using specific substrate probes for a target enzyme. The use of marker genes, also called reporter genes, is an essential element of MI approaches for gene expression in gene therapy. The marker gene may not have a therapeutic role itself, but by coupling the marker gene to a therapeutic gene, expression of the marker gene reports on the expression of the therapeutic gene. 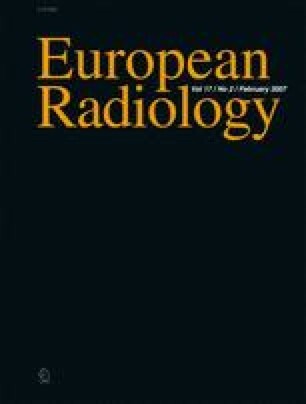 Nuclear medicine and optical approaches are highly sensitive (detection of probes in the picomolar range), whereas MRI and ultrasound imaging are less sensitive and require amplification techniques and/or accumulation of contrast agents in enlarged contrast particles. Recently developed MI techniques are particularly relevant for gene therapy. Amongst these are the possibility to track gene therapy vectors such as stem cells, and the techniques that allow spatiotemporal control of gene expression by non-invasive heating (with MRI guided focused ultrasound) and the use of temperature sensitive promoters. European Commission, Network of Excellence “Diagnostic Molecular Imaging”; Ligue National Contre le Cancer, Conseil Régional d’Aquitaine. The conserved genetic information (gene) codes for the proteins at the DNA level. This process is achieved in two steps: 1) the transcription in which a part of a gene is transcribed into ribonucleic acid messenger (mRNA), and 2) the translation in which the mRNA is used for the synthesis of proteins by ribosomes. The transcription is initiated by activation of the gene promoter, a specific DNA sequence that can be targeted by both transcription factors and RNA polymerase. Moreover, the transcription process is also regulated by DNA sequences, located distant in the genome, that increase (enhancers) or decrease (repressors) the level of gene expression. Enhancers and repressors work as regulators of promoters activity whatever their orientation or location (upstream or downstream) relative to the transcription unit. In gene therapy strategies, these regulatory elements may be used and combined in order to control the level of gene expression. In eukaryotic cells, the code of mature mRNA is discontinuous with respect to that of the gene. Part of the gene coding for proteins called exons are separated from other sequences called introns. The primary mRNA transcript is a complete copy of the gene, containing both introns and exons. Introns are removed by splicing to provide the mature mRNA. The mature mRNA is translated into proteins by the ribosomes that bind the mRNA proximal (5’)end, scan the mRNA sequence to find the translation initiation codon (usually AUG). Alternatively, ribosomes may bind close to the initiation codon via an Internal Ribosome Entry Sequence (IRES) without scanning the complete 5’end. From the initiation codon up to the stop codon, the mRNA is translated into an amino-acid sequence. Respective contribution of both scanning and IRES dependent translations may vary according to the physiologic state of the cell, and may influence protein production. Some viral IRES sequences are very efficient and are used in gene therapy to translate two coding sequences in a single mRNA. The wide panel of mechanisms involved in transcription and translation processes may be used as separate elements or combined to modulate and control gene expression for gene therapy purposes.